This is the corner of the Internet where I like to categorize information, collect resources, and make sense of the world. I am delighted if you take the time to contribute to that project by giving input. You are very welcome to express your approval or the lack of one, as long as you do so in a respectful manner. No insults, personal attacks, or derogatory language. Civil discourse, people. We can do this. Disagreeing can be done with style. To be clear: no scientific evidence will be dismissed out of hand on this blog. I aim to understand, and am grateful for pointers to interesting research. If you’d like to make an argument in favour of a view different from mine, and do so based on speculation or opinion alone, I will try to allow that, too, at least to some degree (granted you are respectful) for the sake of the discussion. If, however, you make specific and strong claims, you will need to back those claims up with scientific evidence. Comments about conspiracies, of all of mainstream science being wrong etc, are big claims, and such claims require particularly convincing evidence before they make for a relevant discussion. An example: every health authority, all scientists, all medical seats of education, every academic organisation being wrong is not a rational starting point for a discussion. A starting point is: how can we know something? I’ve written more about this over at: Why science? The starting point is evidence. A starting point is: ‘this study says one thing, another says another thing – how could we best understand the evidence?’ or ‘this source claims this, and this source that – how do we know who is closer to the truth’? 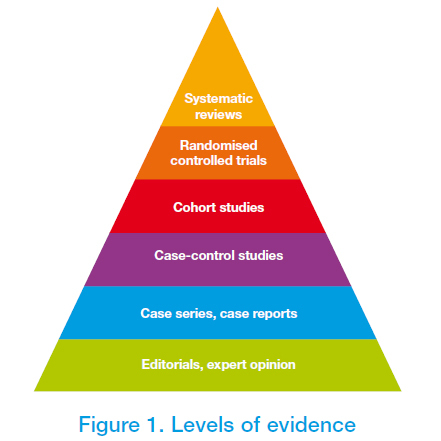 It may help to put in perspective what weight different kinds of evidence carry, for more on that please read about the hierarchy of evidence. Layman or even expert opinions do not carry much weight when they attempt to counter peer-reviewed studies with their word alone, and are nearly irrelevant as evidence when compared to a large number of independently performed studies that support each other’s conclusions. 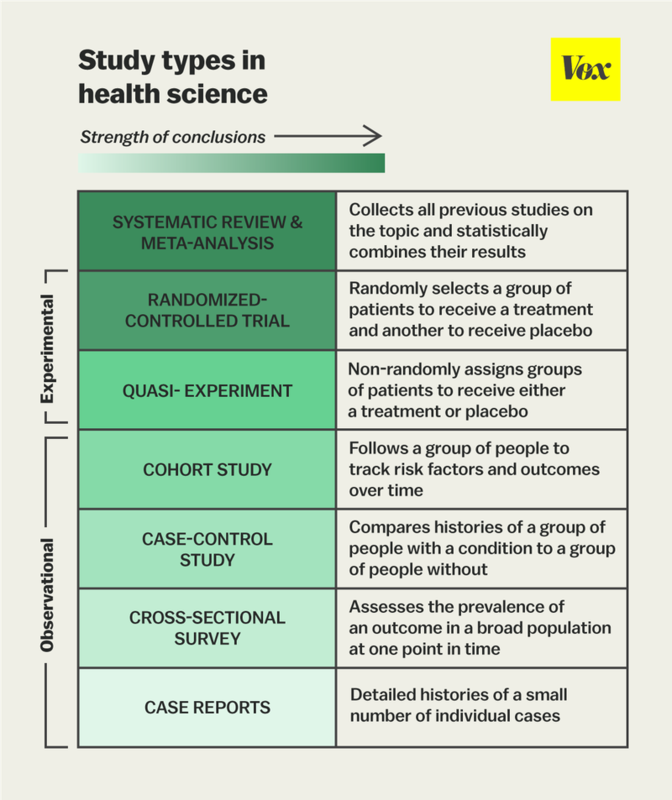 Image from MStrust via The Vox The one chart you need to understand any health study. I will use my best judgement on what level of speculative argumentation is relevant for an interesting discussion on this blog. When the comments begin to muddle the topic with un-backed-up claims rather than advance understanding, I may no longer approve them. Nobody is perfect, of course, and if you would prefer someone else’s judgement on the moderation of the discussion, you can head over to some of the good discussion forums I recommend. I will reserve the freedom to complement these rules if the need arises*. *It seems there is indeed a need for me to clarify something. I am not paid to write this blog. Not by Big Pharma, Monsanto, or by Big Ag – in fact, I’d be a bad advocate for Big Silver, as I have seen little evidence for the benefits of silver in alternative health products ;). As I explain in the About me-section, I am half-time stay-at-home mum, half-time struggling artist, luckily with the loving support of my husband. I suppose you could say he funds my work! I am also a cell biologist, but after paying off my student debt I have taken a break from research and medical industry, only not from my obsessive thirst for science-world-topics. This blog is what I do on my free time, because I feel it is something meaningful to do, because I am fascinated by learning new things, and frustrated when I realise how many others have not yet had the chance to learn about these things. If you comment only to tell me to ‘wake up’, to suggest I am insincere, a mouthpiece for some industry or other, then either you have not read what I have written, or have but won’t believe a word I say, and in that case I don’t see how having a discussion would help. Also please remember that we can make the world better by being kinder to each other, no matter whether we agree or disagree (Inject Some Kindness into the Debate, thank you). My name is David Tremain and I live in the Saint Louis area of Missouri. I have been following and learning as I go about the difficult situation with regards to the assessment, monitoring and how to, or not to, clean up the West Lake Land Fill. since this action to them is not based in science, and a wate of tax payers money, plus the perpetual fiction people struggle is a calamity. I will continue to separate radiative risks from hazards the best I am able, trying to resist bias, through professional assistance from with where they have little or no axe to grind. This situation is occurring all over the US and I think it’s way past time to promote facts even when they do not provide us the answers we desire.